Chiropractic involves drug-free, non-invasive manual procedures which utilize the highly-refined skills developed following their undergraduate degrees during four intensive years of chiropractic education. Chiropractors assess disorders related to the spine, extremity joints, muscles, tendons, nerves and all other myofascial structures of the body, and provide diagnosis, treatment and prevention of those disorders. The goal of chiropractic treatment is to decrease pain and disability and to restore function with the earliest possible return to work and normal activity. During the last 25 years there have been six formal government studies of chiropractic, all of which have found the profession to be safe and effective. The role of chiropractic can vary depending on the case. It may be the primary method of treatment, or may complement or support medical treatment by relieving the musculoskeletal aspects of discomfort associated with the condition. Chiropractic care may also be palliative, providing symptomatic relief to patients with chronic conditions. 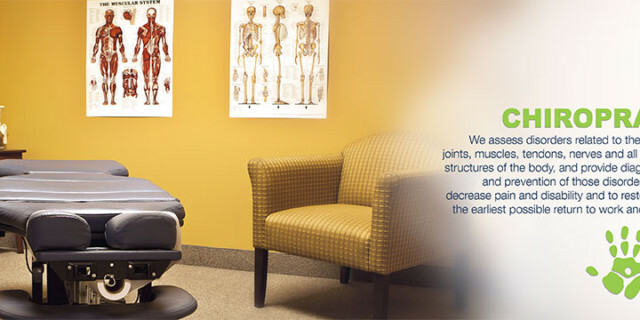 By treating the musculoskeletal aspects of such disorders, chiropractic improves the general well-being of the patient. The number of treatment visits varies for each patient and condition, however the mean number of visits per year to chiropractors in Canada is 9.8.